The ABVP-led DUSU has formally requested the DU Vice Chancellor to not conduct the semester examinations a day prior and after, and on the day of the General Elections. 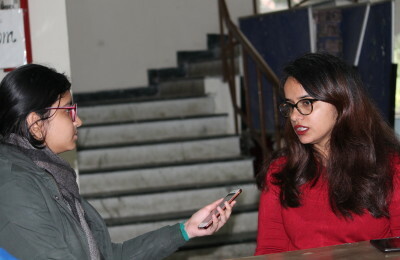 For the upcoming Lok Sabha elections of 2019, which will be coinciding with the April-May semester exams, the ABVP-led Delhi University Students’ Union (DUSU) has requested the Vice Chancellor of the University of Delhi, Professor Yogesh Tyagi, to not hold the semester examinations on the same day as that of the elections. They also demanded that the exams should neither be held a day prior, nor a day later than the actual date of casting votes, so as to ensure that the students from other states can exercise their right to vote as well. The external exams, along with the internal assessments, and practicals willl begin from April and are expected to continue till the first week of June. In a separate letter addressed to the Chief Election Officer (CEO), Mr. Sunil Arora, DUSU requested him to arrange special railway services for the students of major Indian cities for their convenient travel, and to also make the tickets available at compensated rates. They also requested him to issue a directive in the form of an advisory to all the educational institutions in the country, urging them to not conduct the end-semester examinations during the ongoing General Elections. “As students, a lot of us would be casting our first votes, as citizens of India we really look forward to it. A holiday prior the election and post it, would allow us to act our electoral choices,” says a second-year student of Kamla Nehru College. These demands were raised, keeping in mind the fundamental right of the youth to vote, and the demand for the special railway services ensures that students from other states can also cast their votes in their respective constituencies. DUSU further appealed to the students to consciously exercise their fundamental right to vote in the upcoming elections.